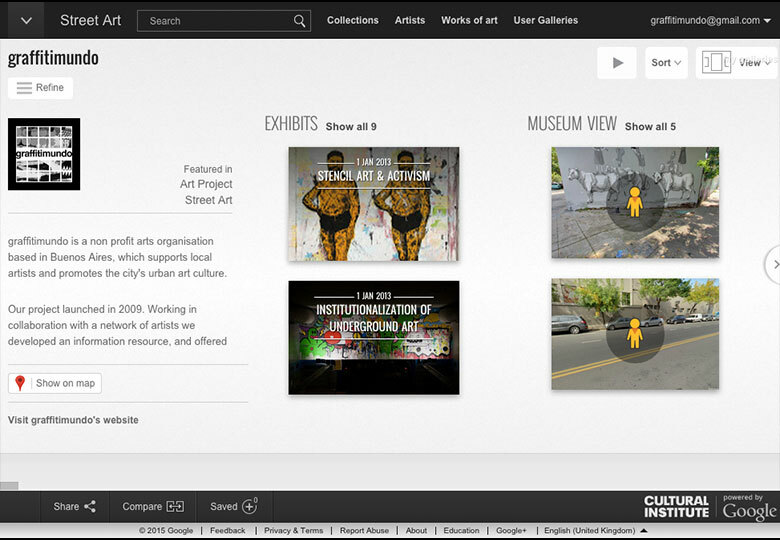 We’re proud to have joined Google’s Cultural Institute as a partner in their Street Art Project, which aims to document and street art from around the world. 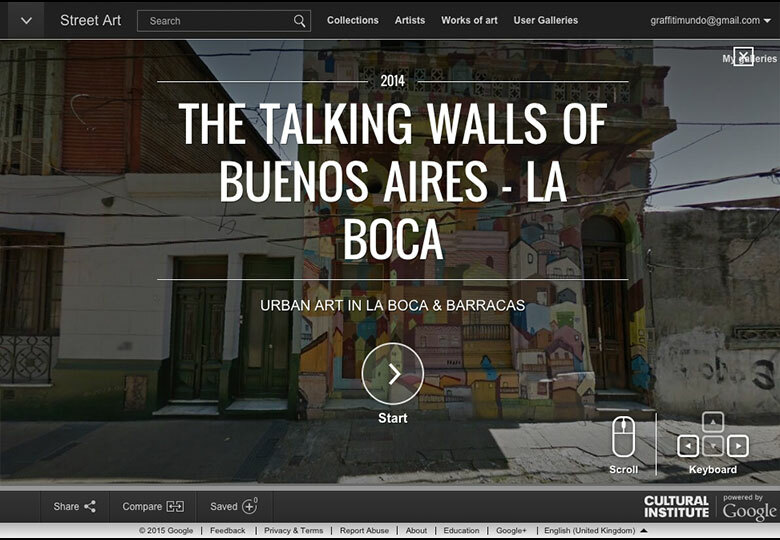 We have created a collection of over 300 images which represent some of the best examples of urban art from Buenos Aires, both past and present, together with gallery works from some of the scene’s leading artists. The high resolution images can be magnified to reveal minute levels of detail such as brush strokes and wall texture. The images are available on strictly non commercial basis, and all intellectual property rights remain with the artists. 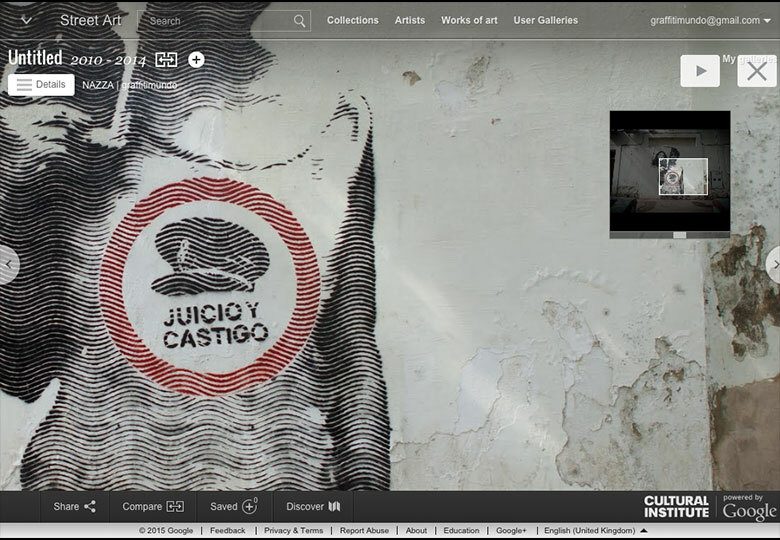 In addition to the photo collection, our partnership with Google has enabled us to create virtual exhibitions which explore different aspects of the scene and its history, and virtual guided tours in English and Spanish using Google Street View. Visit graffitimundo’s collection of works here.